2) Hard to believe it’s been 20 years. 3) Planet of the Apes Dance Remix. Video. Pure Awesome. 4) Mark Waid’s Thrillbent is live. 5) Bed Cartography. Not that this has any relevance to my life, not at all. 6) Alien vs. 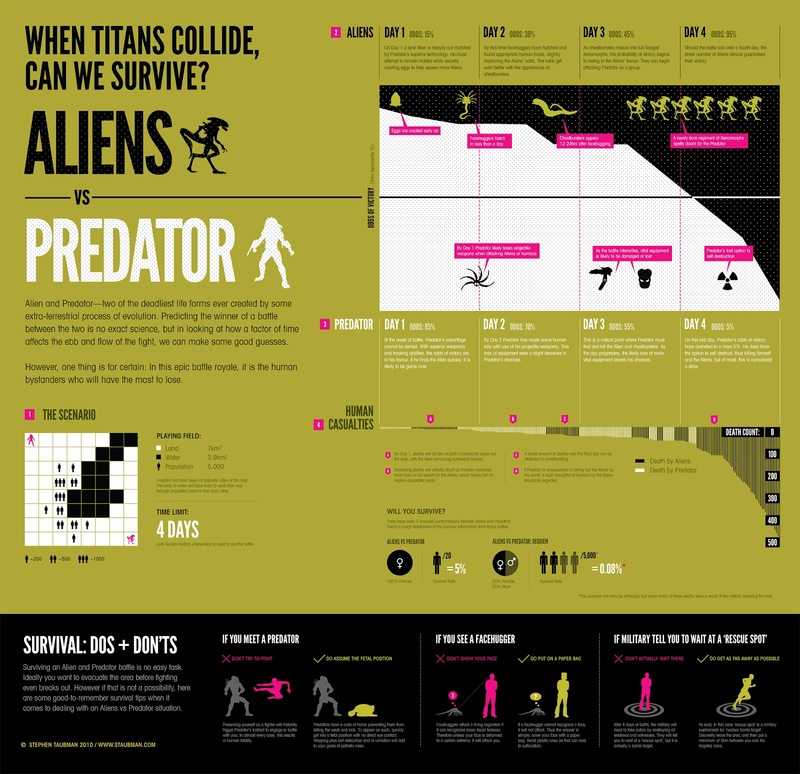 Predator, the infographic. 7) D&D co-creator Dave Arneson’s personal collection and archive to be auctioned.